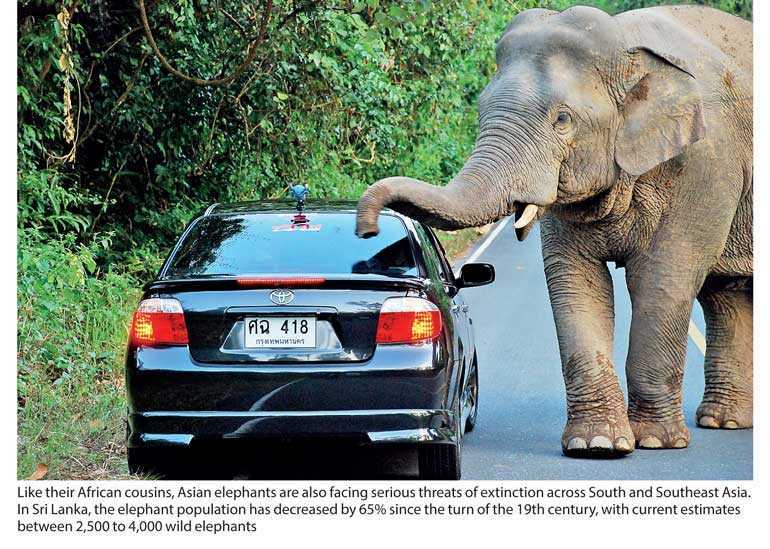 Home / Opinion and Issues/ Can scientists use AI to save the dwindling elephant population? Can scientists use AI to save the dwindling elephant population? Scientists with the Elephant Listening Project estimate that Africa’s population of forest elephants has dropped from roughly 100,000 animals in 2011 to fewer than 40,000 animals today. But those numbers are largely based on indirect evidence: ivory seizures, signs of poaching and labour-intensive surveys that are too expensive to be done regularly. Like their African cousins, Asian elephants are also facing serious threats of extinction across South and Southeast Asia. In Sri Lanka, the elephant population has decreased by 65% since the turn of the 19th century—with current estimates between 2,500 to 4,000 wild elephants1. The problem is compounded by the animal’s preference for crops such as sugar cane, bananas and other fruits frequently grown in the region; and the large blocks of forests being cleared for human settlements and expanding agriculture, instigating the human-elephant conflict. But conservation groups along with authorities in several countries are working to create a future for elephants in landscapes that are dominated by humans and rapid economic development. They are investing in anti-poaching operations, reducing impacts on elephant populations, preventing further habitat loss and, most importantly, lowering local animosity against elephants. They also have a powerful new tool at their disposal: artificial intelligence. Conservation Metrics, a Microsoft AI for Earth grantee based in Santa Cruz, California, uses machine learning to monitor wildlife and evaluate conservation efforts. It is applying its sophisticated algorithms to help the Elephant Listening Project, based at Cornell University’s Lab of Ornithology, distinguish between forest elephant calls and the other sounds in a noisy tropical rainforest. Researchers use the elephant call data to build more accurate and frequent population estimates, track their movements, provide better security and potentially to identify individual animals, which can’t be easily seen from the air. It’s also the perfect job for AI—looking for these rare patterns in terabytes of data that would take humans years. It is one of many ways biologists, conservation groups and Microsoft data scientists are enlisting artificial intelligence to prevent the illegal killing of elephants across Africa, stop the global trade in their parts and preserve critical habitat. But there has been a bottleneck in getting data out of these remote African forests and analysing information quickly, says Peter Wrege, a senior research associate at Cornell who directs the Elephant Listening Project. “Right now, when we come out of the field with our data, the managers of these protected areas are asking right away, ‘What have you found? Are there fewer elephants? Is there a crisis we need to address immediately?’ And sometimes it takes me months and months before I can give them an answer,” says Wrege. Conservation Metrics began collaborating with the Elephant Listening Project in 2017 to help boost that efficiency. Its machine learning algorithms have been able to identify elephant calls more accurately and will hopefully begin to shortcut the need for human review. But the volume of data from the acoustic monitors is taxing the company’s local servers and computational capacity. In response, Microsoft’s AI for Earth program has given a two-year grant to Conservation Metrics to build a cloud-based workflow in Microsoft Azure for analysing and processing wildlife metrics. It has also donated Azure computing resources to the Elephant Listening Project to support its data-processing costs for the project. Wall has been collaborating with Dan Morris, a Microsoft researcher working with AI for Earth, on a half dozen project ideas. One examines how to use machine learning to identify streaking behaviours — when elephants run fast and in an unusually straight line — that can be a sign of poaching or other threats. “The potential for machine learning to rapidly accelerate that progress is huge. Right now there is some really solid work being done by computer scientists in this space, and I would guess that we’re less than a year away from having a tool that biologists can actually use,” says Morris. Wall and Morris are also beginning to work on using AI to distinguish between elephants and other animals like buffalo or giraffes in aerial photography. Knowing when and where elephants are coming into contact with other wildlife — and particularly domesticated animals like cattle — can help rangers minimise conflicts with humans and help scientists better understand disease vectors. 1“Sri Lankan Elephant.” WWF, World Wildlife Fund, www.worldwildlife.org/species/sri-lankan-elephant.